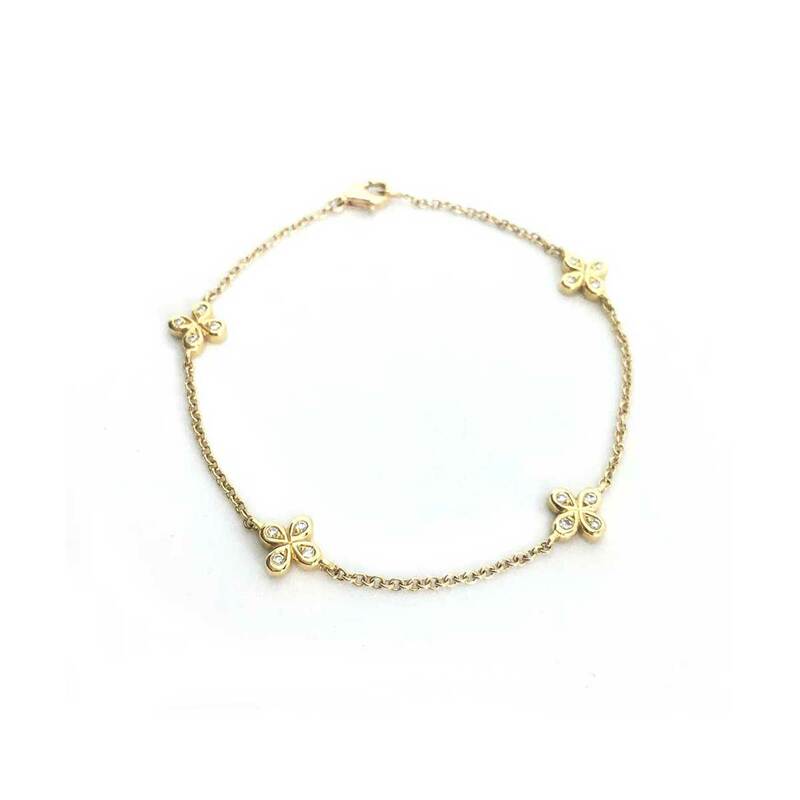 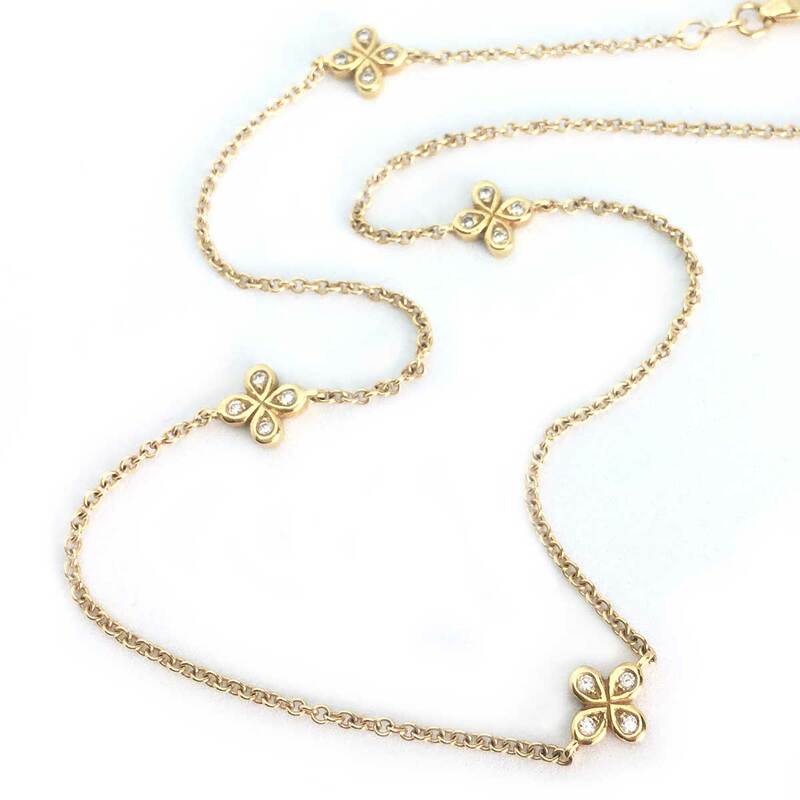 This beautiful choker features the designer’s signature diamond flower spaced along an 18K gold chain. 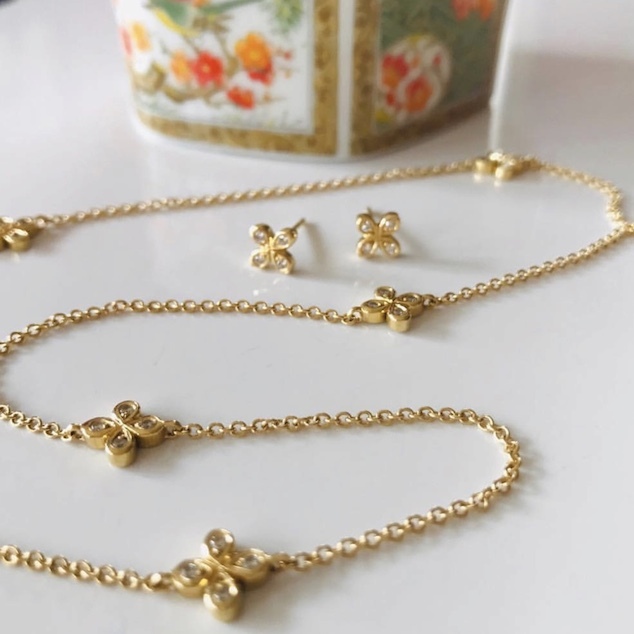 0.25 ctw diamonds. 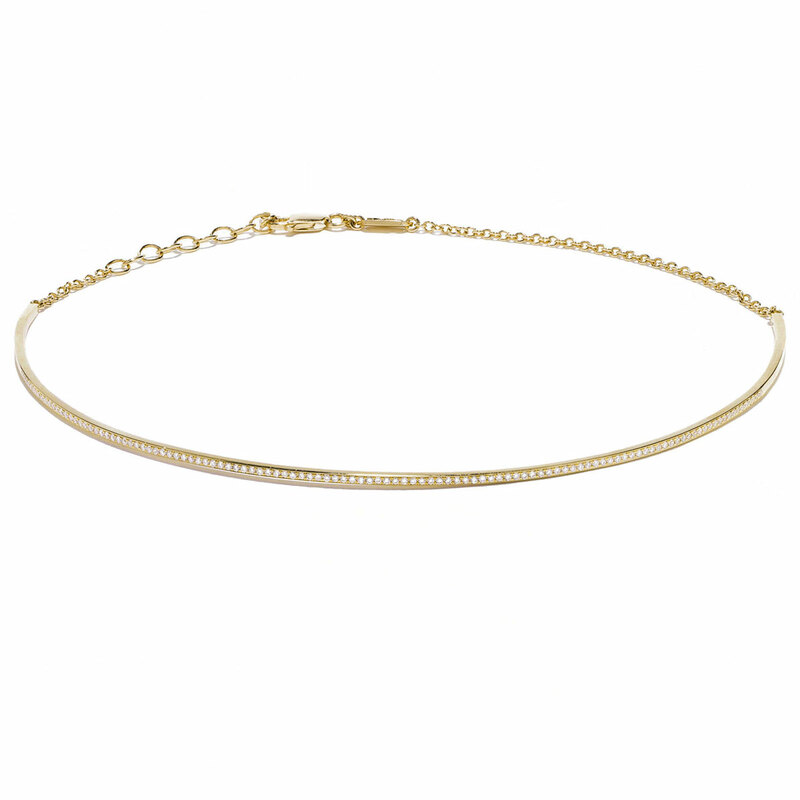 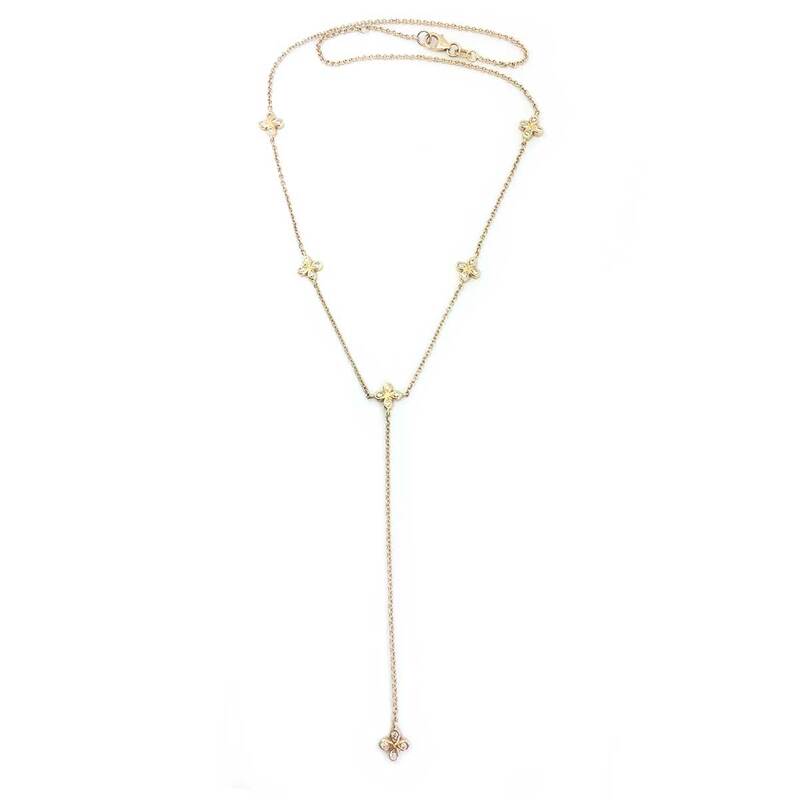 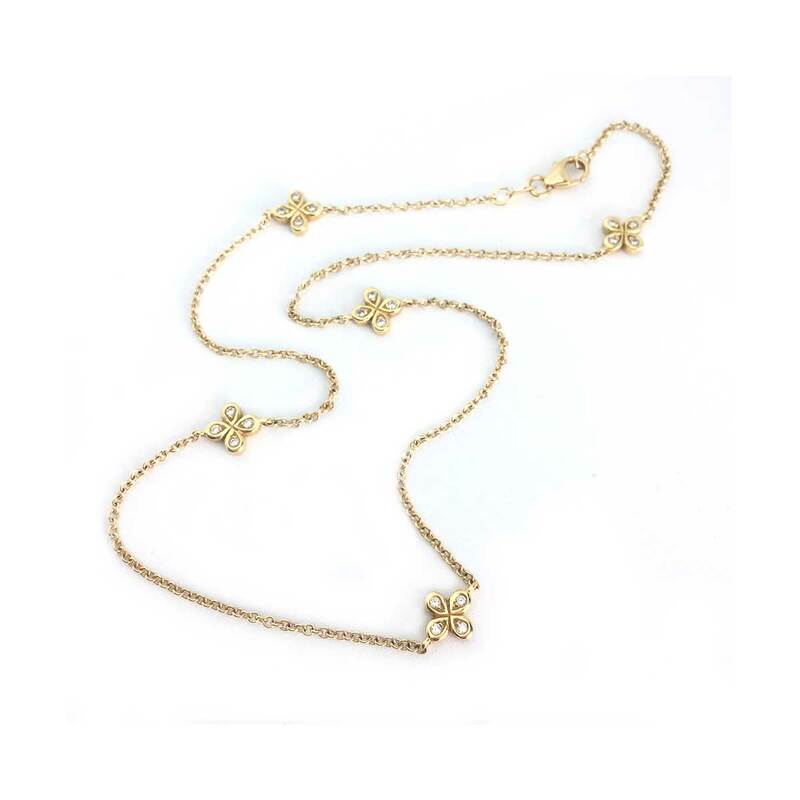 We love the delicate diamond flowers that dance along the chain of this choker making it both sweet and sophisticated.